Dont change my title Rumpleteazer is a 29 year old (DOB: October 31, 1989) muggle-born witch living in Hogsmeade. She wields a 12½" Cypress, Thestral Hair wand, and is a member of the unsorted masses of Hogwarts students just off the train eagerly crowding around the Sorting Hat. Her favorite Harry Potter book is Harry Potter and the Half-Blood Prince and her favorite Harry Potter character is Severus Snape. Jellicle Cats come out to-night Jellicle Cats come one come all: The Jellicle Moon is shining bright - Jellicles come to the Jellicle Ball. 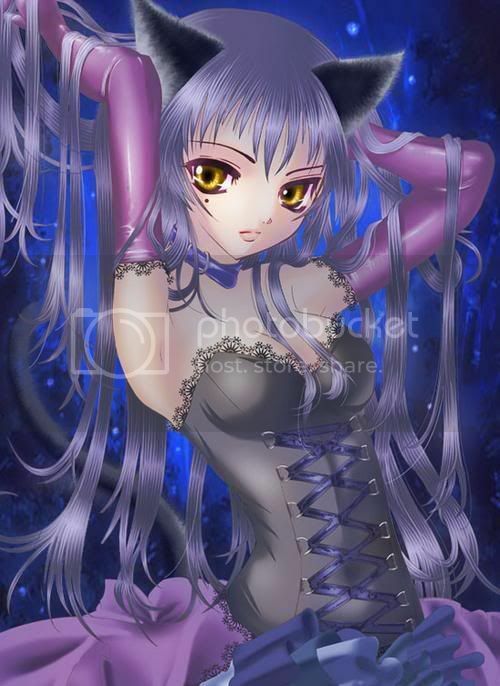 That's right I am a Cat so kiss my tail! I am of Felyne blood and I am very mischief by nature. I am a trickster and will play you for a fool. I don't play that drama crap, and I don't care about your family. I don't want an HL family, I am just the lone cat causing chaos among the other wizards and witches. I am married to the very Evil Mattley. We are a very unique couple. His evil manor compliments my mischief well.